A-Mark Precious Metals, Inc. is a major global producer and seller of silver and gold (and also produces platinum and palladium) bars and other bullion products. Their refining, minting, and re-selling operations use 90 million ounces of silver each year. They obtain this directly from miners, other refiners, and dealers to produce enough silver bullion to serve their clients on six continents throughout the globe. The A-Mark 10 ounce silver bar is their signature in house produced silver bullion bar product. They also produce one ounce liberty silver rounds. A-Mark's history stretches back to its founding in 1965. The firm has expanded over the years to become a precious metals trading company that is full service and delivers a varied assortment of products and offers. Among their products are silver, gold, platinum, and palladium bullion in the form of bars, coins, wafers, and grain. They offer these precious metals either for client delivery or storage. Besides carrying a full range of silver and other precious metals bullion, they offer a variety of interrelated services. Among these are hedging, consignment, leasing, financing, and a range of specifically tailored financial programs. A-Mark is proud to be an officially recognized distributor for a number of Government Mints located around the globe. This includes The Royal Canadian Mint, The Perth Mint of Australia, The South African Mint, and the U.S. Mint for whom they are an Authorized Purchaser. A-Mark boasts two offices in the U.S. and Europe, found in Santa Monica, California and Vienna, Austria. This allows them to provide a buyer and seller market for their bullion products Monday through Friday for 17 hours per day. Customers are able to purchase from and sell to them even when a great number of the important commodity centers for the world have closed. The company turns out to have the biggest network of precious metals dealers in all of North America, making them a leading force in the precious metals markets. This helps them to take care of clients on all the inhabited continents. Among their range of customers are metals and coin dealers, mines, refiners, manufacturers, investors, collectors, investment advisors, jewelers, central banks, merchants, and commodity broker firms. Their trading desk operates from 12am to 5pm Pacific Standard Time. The back of the bar showcases a series of three characteristics of the bullion written repeatedly in a diagonal orientation. This states “.999+ Pure Silver,” “10 Oz. Troy,” and “A-Mark.” Bullet points separate each of these declarations which are repeated a total of five times in sequence. Every A-Mark Silver Bar carries a fineness of .999 (99.9% silver content). Most bullion coins prove to be different from silver bars. The silver bars do not come with a legal tender face value amount as do the majority of the bullion coins. Silver bars still offer their own advantages over the coins. The bullion bars like A-Mark Silver Bars are not minted to be collectible pieces and come with much lower mintages. Because of this lack of collectibility, the market price of these bars is far closer to the silver spot price. It helps to make silver bars the most cost efficient way to purchase silver. This market price actually determines the assets' value within any retirement or investment portfolio. The prices of silver rise and fall on any given trading day. This means that the prices for A-Mark Silver Bars similarly fluctuate up and down on trading days too. You can watch these changes in silver and precious metals prices in real time by navigating to our home page. The Internal Revenue Service recognizes the retirement value of having physical precious metal bullion such as A-Mark Silver Bars. They will allow this in certain self-directed IRAs that are often called precious metals IRAs. In order for tangible silver to be included in the account, the bars must meet minimum purity requirements. All A-Mark Silver Bars are approved by the IRS to be kept in these IRA retirement vehicles. Silver bars such as these have long been a popular alternative to gold bullion as the spot price of silver is so much less expensive than gold. This means that silver makes a more affordable investment insurance protection. A-Mark Silver Bars fulfill the requirements of minimum .999 silver purity which the IRS specifies in the section of code 408(b). First purchases of these or other silver must be at least $5,000 in qualified silver bullion. Subsequent purchases must only be $1,000 minimum. The IRS requires that you keep all of your bullion bars in third party depositories which they approve. These vaults protect and maintain your bullion assets. 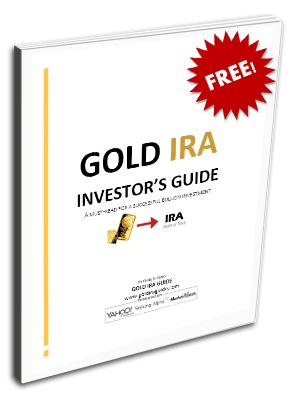 You are able to move over other IRA accounts to a self directed IRA for keeping physical precious metals by rolling it over. A good feature of the A-Mark Silver Bars is that they are very liquid. They can be easily bought or sold through coin and precious metals' dealers throughout the world. These bars are not serial numbered so they are not registered with the precious metals exchanges like LBMA, COMEX, or APMEX. Your IRA administrator is able to easily acquire them on your behalf by placing an order with A-Mark directly.